Going through a divorce or breakup is hard enough by itself, but when child custody concerns are thrown into the mix, the situation can quickly turn complicated and messy. This is especially true if one parent recently moved to another state or divorce/custody petitions were initiated by each party in separate courts. A court’s power to hear and decide cases is called jurisdiction, and figuring out which court is authorized to handle a child custody matter can be a point of contention. Only orders issued by courts with proper jurisdiction are enforceable, so settling this issue is not a mere legal technicality. If the parents live in the same state, typically, the family court located in the county where the divorce is filed or where one or both parties live has jurisdiction, but when parents move out of state, this issue can quickly become murky. Issues can arise not only around which court can decide custody, but also when and where that order is enforceable if the child or parent moves to another state. The potential danger of having multiple custody orders from different courts is highlighted in a news story last year about a custody battle spanning years and several states, including the issuance of conflicting orders from different courts. 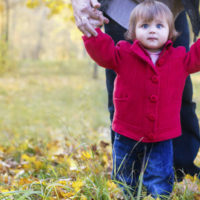 Avoiding this type of confusion is not only important for the enforcement of a parent’s rights, but also to avoid shuffling the child from parent to parent. A discussion of when courts can issue, enforce and modify child custody orders will follow below. no other court would be appropriate or has agreed to take jurisdiction, and Florida appears to be the most appropriate place to decide the issue. When a court enters a child custody order, it continues to hold exclusive jurisdiction to modify any of the terms. This rule exists to prevent other courts from issuing conflicting orders before the original court has a chance to modify its earlier ruling. The court who issued the order has the option of declining to exercise this jurisdiction, which is likely if the child has not lived in the state for an extended period of time, but this permission must be requested before seeking modification with another court. Getting a child custody order enforced in another state is a much simpler matter, and only requires a party to the order to register it with the court clerk in the new jurisdiction. This registration can only be challenged on very narrow grounds, so they are usually accepted and enforceable within a short period of time. Obtaining a valid and enforceable child custody order is a crucial issue for all parents, and to ensure this vital matter is handled properly, an experienced family law attorney should be consulted. The Orlando Donna Hung Law Group has extensive experience in all aspects of child custody, and is available to discuss your questions and concerns. Contact us at (407) 999-0099 to learn how they can help you.